Seoulsome: Tapas & paella at Spain Club. Garasou Gil, Shinsa-dong, Gangnam. Tapas & paella at Spain Club. Garasou Gil, Shinsa-dong, Gangnam. 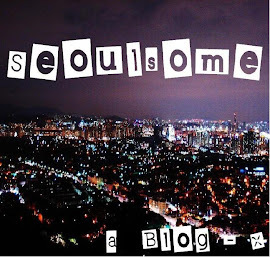 This last week I went to my favorite area of Seoul, Garasou Gil. If you've been here a while you'll probably already know of the street, it's one of Seoul's most recent 'trendy up and coming' spots to visit. It's jam packed with coffee shops, perhaps more densely than anywhere else in Seoul, which is really saying something! There's also a lot of cute cafes, restaurants, bars and shops. The shops are mainly independent small boutique like shops but in the last year the streets increasing popularity has lead to the arrival of some chain retailers popping up. This applies to the food places too. Although I could talk for a long time about all the shopping to be done here I'm going to do that in another post in the coming weeks. This last visit was mainly about food you see. I went there with a friend who wanted to try the Spanish restaurant I'd told her about. Not too originally this restaurant is called 'Spain Club'. I guess it helps you know what food it's serving though. Walking into the restaurant you could be in Spain, everything has a Spanish feel to it, even the bathroom with it's Spanish style floor tiles. Every time I've visited this place I've been greeted by a waiter who can speak pretty good English. I'm not sure if that's just because I'm lucky or if they make a point of having an English speaking staff member there. Either way it makes life a lot easier if you don't speak Korean. Here might come the problem though....the menu is not in English. The names of the dishes are written in Spanish and the description in Korean. If you've eaten Spanish food before then you'll probably recognise many of the dishes. Failing that there's small photos of all the dishes in the menu so you can just try your best to decipher what each is. On this particular visit we ordered an appetizer of baked mushrooms stuffed with chorizo. We followed that with Paella. To drink we ordered Sangria, when in Spain and all! The mushrooms are a favourite of mine here. They are baked in olive oil and you are served some crusty bread which I like to dip in. I love the strong flavour of the chorizo and mushroom together. Some of their other tapas I like the best are the Spanish tortilla and prawns baked with garlic. The first time I ordered this Paella it didn't quite fit what I'd been expecting. I always remembered paella being more yellow, but it wasn't that that bothered me. I think the rice they use could be where it fell down for me. I'm not sure if it is paella rice, I don't even know enough about rice to correctly tell the difference. All I know is the rice is really similar, if not the same, as typical rice you eat in Korea. I guess it just doesn't seem authentic to me because my brain associates it with Korean food. In my opinion the Paella seems like it's been Koreanized. Don't get me wrong though it is still delicious, the rice is packed with flavour, soft on the outside and a little firm inside as it should be. On top of that we aren't exactly close to Spain here so you can't expect perfection! The paella is topped with seafood as you can see, which is not copious but is enough to serve two people for main. Alternatively it could serve three or four people if you order it along with some other tapas dishes. This restaurant serves wine and beer but I always like to stick with the theme and have a glass of Sangria. Although I would say the Sangria is nothing special here though. I would guess from the taste that it's made very simply and it doesn't come with any fruit in which is a little disappointing to me. It's 9,000 won for a glass which is about average for drinks in this area. You can get a pitcher for 35,000 won but I found that to only just make about four glasses the last time I was there. I'd expect to get a little more for my money when ordering pitchers but here you really only get the same. This restaurant has been open for quite a while now and appears to be growing in popularity. It seems to be busier each time I visit so I'd recommend you make a reservation if you don't want to wait. They've also opened branches in Itaewon and Hongdae too although I haven't visited either of these yet. Please feel free to contact me if you have any questions or leave a comment if you like.